Background Anxiety is common. Symptoms that meet criteria for an anxiety disorder are also common, disabling and treatable, yet the majority of people who experience symptoms do not seek treatment. This study aimed to examine the rates and correlates of treatment seeking, and the perceived barriers to care among individuals experiencing symptoms of anxiety in the community. Methods The study identified persons who reported anxiety as their principal complaint from the Australian National Survey of Mental Health and Wellbeing (N = 10641). Multivariate logistic regression was used to examine clinical and sociodemographic correlates of service utilisation, effective intervention and perceived need for care. Results Rates of consultation, specialist consultation and perceived need for care were low. 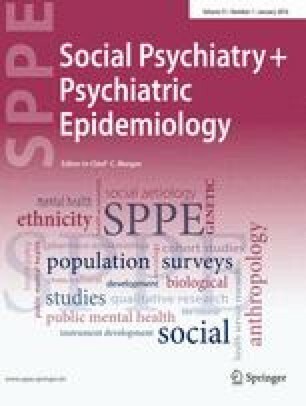 Disability, neuroticism and presence of mental disorders were stronger determinants of consultation and perceived need than sociodemographics. Panic disorder was the only anxiety disorder associated with consultation, specialist consultation and effective treatment. Consultation with a mental health specialist as opposed to another health professional was associated with effective treatment for anxiety. The most common reason for not consulting was “I preferred to manage myself”. Conclusions Although the more severely symptomatic and comorbid individuals seek treatment for anxiety, a significant number of disabled individuals do not consult. While treatment coverage for panic disorder was better than for the other anxiety disorders, coverage could be improved across all the anxiety disorders. Given the relationship between specialist consultation and effective treatment, it is important that general practitioners are able to treat persons with mild to moderate anxiety competently and refer more disabled individuals to mental health specialists. The findings call for continued efforts to educate both health professionals and the public about the management of anxiety.